National Security Adviser Calls On INEC To Postpone The 2015 Elections. 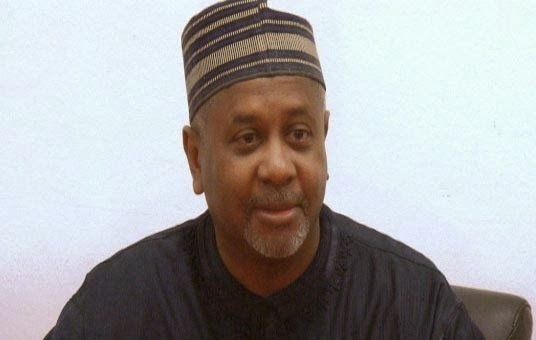 A twist seems to have been added to the growing apprehension over the conduct of the 2015 general elections, as the National Security Adviser, Col. Sambo Dasuki, today called on the Independent National Electoral Commission to postpone the elections. According to Dasuki, who spoke at a forum in London at Chatham House, said the call was to enable Nigeria’s electoral body room for proper preparations and distribution of Permanent Voter Cards, PVC. He also added that the system of PVC is the first in Nigeria where voters use a biometric card so as not to rig election. He said INEC had distributed 30 million cards and still needs to distribute more. The NSA said though INEC has assured of success in the forthcoming election despite time constraint, he told the Chairman of INEC that it costs them nothing to change the date when there is still about 30 million people yet to collect their PVCs. Dasuki also assured that the missing Chibok girls will soon be located with the help of the international community, particularly from the French, British, Americans and Chadians. Mr Dasuki maintained the official Baga attack casualty figure released by the Nigerian Army, saying that only an independent verified copy of the satellite images can prove otherwise.